Having practiced law for more than 30 years, with one foot in business law and the other in tax-exempt organizations, John Vail possesses a fairly unique combination of skills and experience, which few other attorneys can offer their clients. 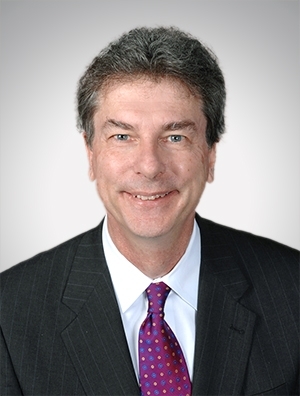 The chairman of the firm’s Investor Services Team, he devotes his practice to the representation of tax-exempt clients such as foundations, universities, pension funds, and hospitals in connection with their investment activities, with an emphasis on institutional investor legal matters, corporate governance, and related nonprofit organization needs. From day to day, John counsels his clients in their investment activities with respect to alternative investments such as private equity, leveraged buyouts, venture capital, mezzanine debt, alternative marketable strategies, and hedge funds. He has represented these clients with respect to their direct investments as well as in their secondary sales and purchases of investment fund interests. John has also formed private investment funds for clients of the firm who are looking to raise capital for blind pools or specific investment opportunities, and he also has extensive background in mergers and acquisitions and commercial contracts. All of John’s endeavors are grounded in a spirit of helping people with compassion and understanding — he hopes that clients want to bring their problems to him, not only because those problems need solving but because clients can comfortably place their trust in him. He views client needs not just in a legal but in a holistic sense, guarding their greater well being and not simply their investment portfolios. John recognizes that tax-exempt organizations are usually formed to make a difference and serve the greater good, and he wants to be a part of that mission. As an expression of his commitment to service, John teaches business ethics and social responsibility at the university level, but he also imparts those lessons while he manages client investments. In fact, John has been expanding his practice to counsel all interested firm clients on how to incorporate socially responsible policies into their operations.